Cupid, uniting a man and a woman in a romantic couple, makes them think about marriage. Many couples dream of getting married in some romantic places. A medieval castle, a yacht, a nice remote beach corner, a shady nook in the garden...may become beautiful surroundings for a wedding ceremony. Spain possesses lots of such places, where your dream may come true. One of the most popular aspirations in this respect is Barcelona. Royal Barcelona with royal residences, artistic Barcelona with surrealistic architectural creations by Gaudí, Mediterranean Barcelona with infinite golden beaches and transparent sea waters, subtropical Barcelona with its´ nice climate, favourable for romanticism in all aspects, will arrange a really unforgettable wedding day, for you. For many years, the Sol-VIP Travel Company experts have been cooperating with the best companies, which are devoted to arranging anniversary and wedding celebrations, in Spain. All these people are reliable professionals and experienced experts, known in Barcelona and in Spain, as a whole. We work only with them. Being a good alliance with our Spanish partners and our Russian speaking professionals in the sphere of tourism, our agency may offer you to completely arrange your wedding, in any city, town or resort in Spain. to invite photographers, stylists and so on. The honeymoon is an unforgettable time for any newly married couple. All concerns about the wedding are over! Everybody may relax. Spain with its’ charming climate and beautiful nature, delicious cuisine and enchanting music is a unique place to feel calm and happy. Your honeymoon holidays, arranged by our company will be special in all aspects, thus our principle is an individual approach to our clients. 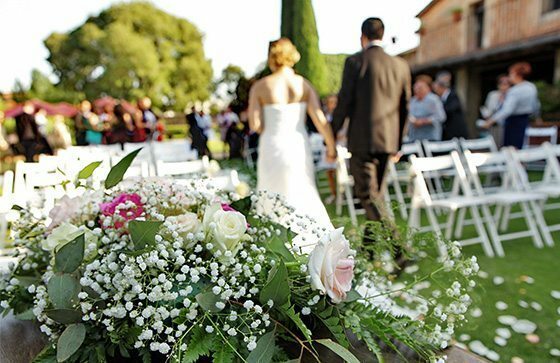 Every wedding ceremony and every honeymoon programme, organized by our company are unique and inimitable, because we pay attention to all your wishes. A slightest desire of yours will be fulfilled! Our customers give good references to our company, talking to their relatives and friends. This is our best recommendation and guarantee. You are welcome!